But first, a shout-out to my dad, ’cause it’s his birthday today. Have a great one, old man of mine! It being my dad’s birthday, however, is not what made today so damn great. What did, then? I ate lasagne. Not just your ordinary lasagne though: lasagne I made all by myself (granted, with a few telephonically communicated tips from my mom). Let’s give you guys a rough recipe before I talk about how it went on my side. For this type of lasagne, you need béchamel sauce, tomato sauce with ground beef, and (obviously) a couple of sheets of lasagne. All of this is for 1-2 people. Melt 45 grams of butter in a small pan. Stir and add 45 grams of flour into the butter. Keep stirring until you get a smooth consistency. Slowly add 2.5 dL of milk while you keep stirring. If the sauce seems too thick after you added all the milk, add a bit of water. Let the sauce boil really softly for a few minutes, and then add a little of salt, pepper and nutmeg to the sauce to give it some flavour. Get a pan and bake (is that the right word?) 250 grams of ground beef. Once that’s done, add bits of onion and garlic to it. Stir it a little, let the onions get a bit glassy (ugh, the limitations of the Dutch language..). Add 500 grams of sifted tomato. You can probably find a package of that in your local grocery store. As usual, stir well! Unless you like your food plain, add some spices to the mix, such as oregano, thyme and basil. Optionally, throw in some grated cheese. Now that you’ve got both of those prepared (keep the béchamel sauce heated, and stir frequently!) you can go find a dish to put your lasagne in. Don’t get anything too big. 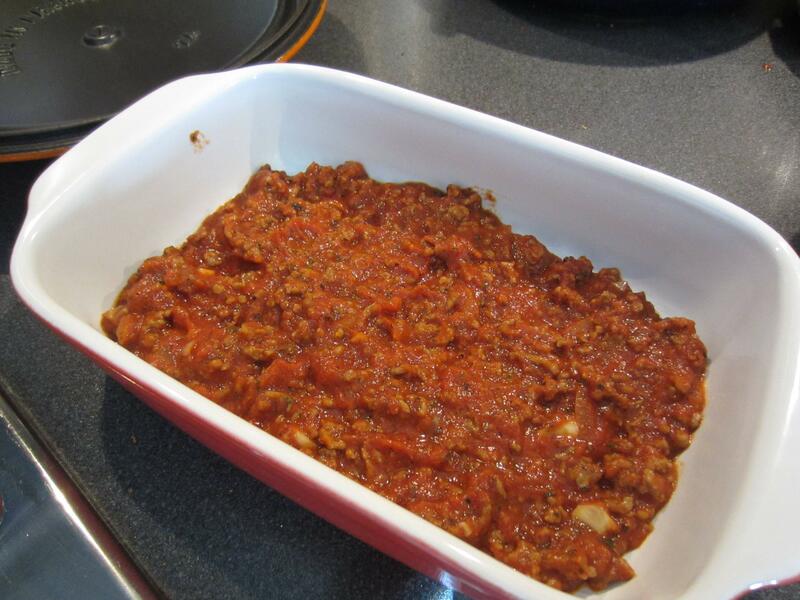 Start with a layer of the tomato-meat sauce, béchamel on top of that, and cover that up with sheets of lasagne. The top two layers should be the saucy ones. 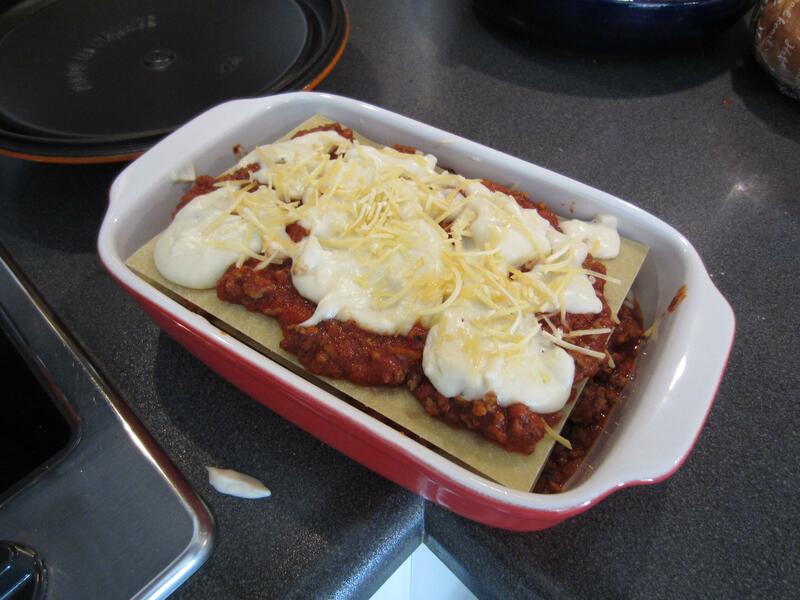 If you want, you can sprinkle the top with grated cheese, like I did! (Pictured is a relatively small amount though, I recommend you add a bit more.) Go pre-heat the oven at 200°C, and then put the dish in there for ~30-40 minutes. Be careful when taking it out, it’s hella hot! If you’ve done everything at least somewhat correctly, you should end up with something along the lines of the picture below. Congratulations, you’ve made lasagne! Now comes the fun part: my tales of screwing up. 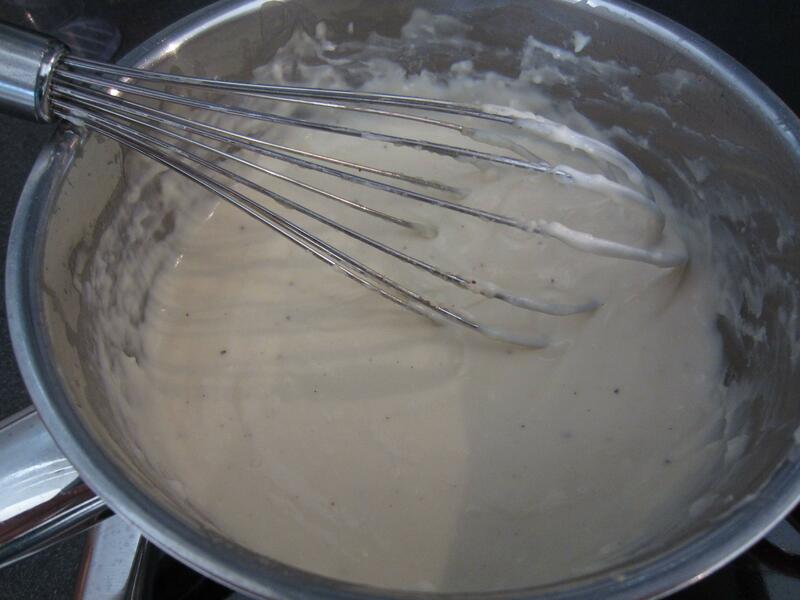 The béchamel sauce went fine, until I discovered I couldn’t take it off the heat without it getting really, really thick. 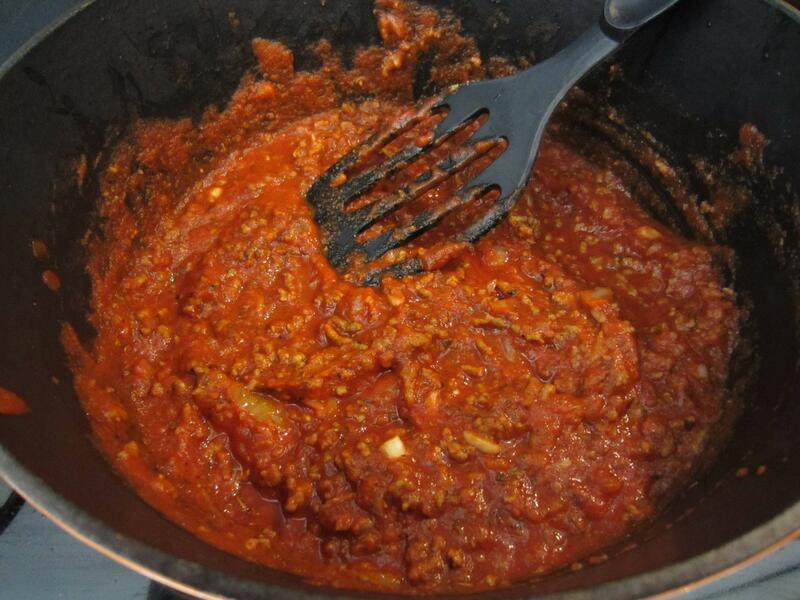 Secondly, when adding spices to the tomato-meat sauce, I accidentally threw a shitton of basil in there. I thought the tiny bottle I got it from had a grate for an opening, but no, it was one large hole. Oh well, I managed to compensate for it with the other spices. Also, there’s rather large bits of garlic in there, since I made the mistake to chop them finely instead of grinding them to dust. As you already saw, my sauce-distribution pretty much failed, and I should’ve covered all of the sheets in sauce, so some of the ends got really crispy. I also had to put it in the oven two more times because the lasagne wasn’t quite done yet. All in all though, it was pretty good. Not only did I learn a lot, I also got a tasty meal. I still have some leftovers, since it’s more or less a two-person meal unless you’re really hungry, but hey, there’s a long night ahead of me, haha! Hope you all enjoyed this one! If you plan on making lasagne yourself, keep me updated! Happy belated birthday to your dad! 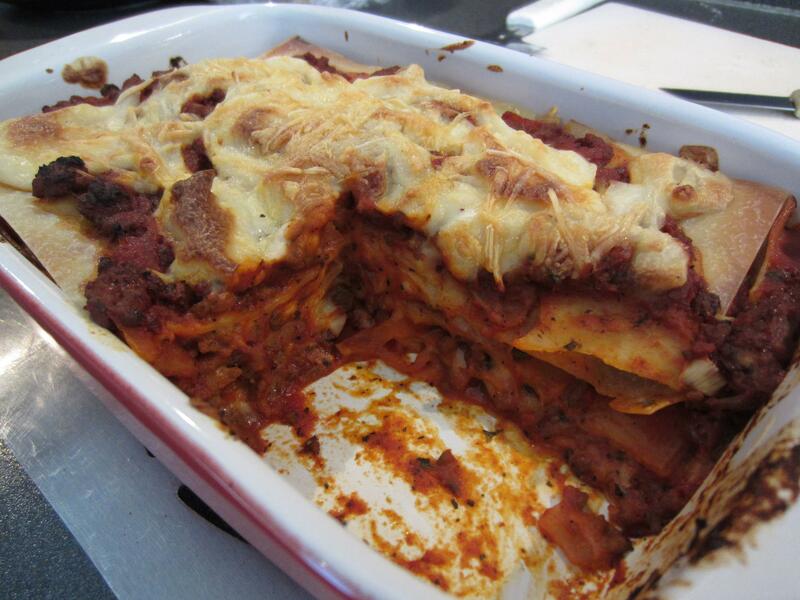 Oh if only I like lasagne… I made it at school once with friends and it was quite a disaster lol! I think you’d need one of those rubber type flexible spatulas to get you sauce distribution right. Nevertheless, it sounds and looks like your lasagna was a success. HAha Ground Beef. Pour Sophia. Also that looks awesome. Homemade, too! 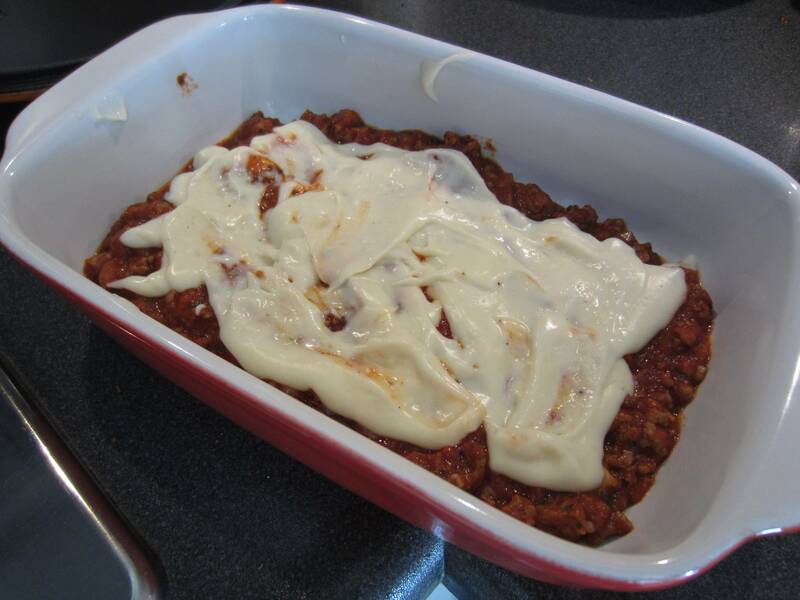 Mom makes lasagne but she just uses sauce from a package, all you have to do is add milk. And meat, obviously. I’ve never actually heard of anyone putting béchamel sauce on it. 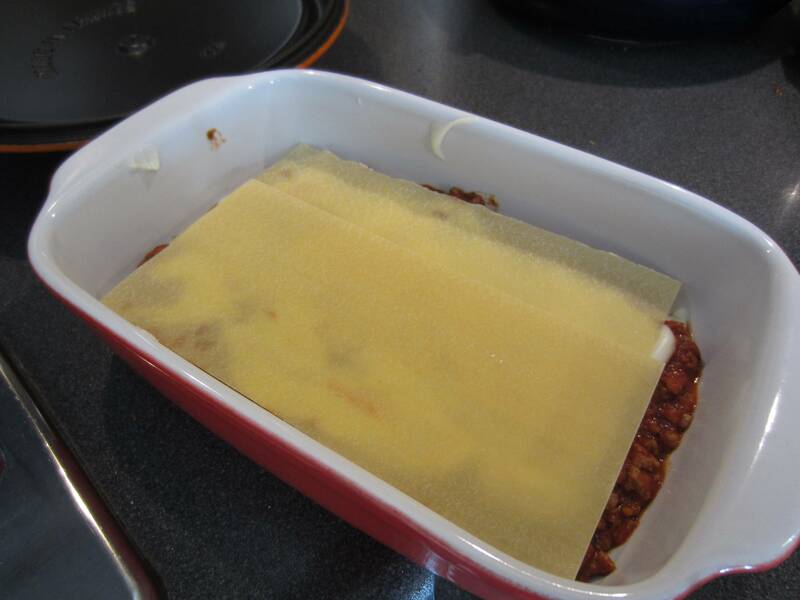 If you have problems with your lasagna not cooking thoroughly, just soak the sheets in warm water for about 10 minutes before you layer them in the pan. Looks delicious! Happy birthday to your dad :) I love lasagne but I accept it’s way out of my ability to cook. At least for now.